The best in new French filmmaking is being showcased over five days at the 14th annual Focus on French Cinema. The festival, sponsored by the Alliance Francaise of Greenwich, is split between three cities. The first three days, Friday, Arpil 27 to Sunday, April 29, take place at the Bow Tie Cinemas in Greenwich. The event moves to the Avon Theatre in Stamford on Monday, April 30, and then ends Tuesday, May 1 at the French Institute Alliance Francaise in Manhattan. 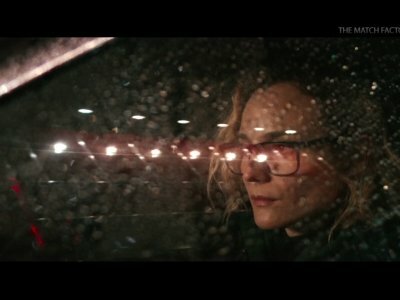 BEVERLY HILLS, Calif. (AP) — "In the Fade," a German film that tackles terrorism from multiple, and multicultural, perspectives won the Golden Globe on Sunday for best foreign language film. "How'd that happen?" said a stunned Fatih Akin as he accepted the award. "Thank you for elevating this movie even though it's in a foreign language." It's startling how few filmmakers have tried to tackle terrorism with anything beyond a standard procedural account. It's less surprising that one of the few to really grapple with a response is Fatih Akin, the German-born filmmaker of Turkish descent, whose thorny, probing dramas traverse borders as a matter of course. Quentin Tarantino celebrated his engagement to Daniella Pick at a star-studded party on Saturday (09.23.17). 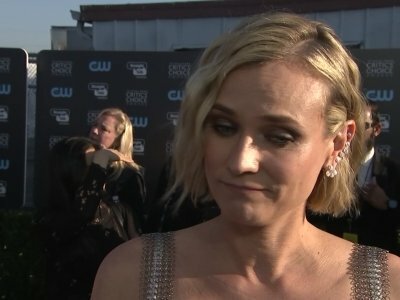 CANNES, France (AP) — Diane Kruger has won the best actress award at the Cannes Film Festival for her role in Fatih Akin's "In the Fade"
Joshua Jackson is using dating apps to find love. The former 'Dawson's Creek' actor is reportedly "hitting the dating scene hard" in a bid to distract himself from the news his former long-term partner Diane Kruger - who he split from last year after almost a decade together- has moved on with 'Walking Dead' actor Norman Reedus. A source told Grazia magazine: "Josh is playing the field and has even started using dating apps. PARIS (AP) — A labyrinth and a scented secret garden led to Christian Dior's enchanted collection Monday — the hugely anticipated couture debut from new designer Maria Grazia Chiuri. The collection in Paris' Musee Rodin kicked off Paris' week of spring-summer couture shows — the fashion industry's ideas factory spanning four days and 24 collections. U.S. Box Office Gross: $15,425,900Smart Rating: 83.56U.S. Release Date: 07/13/16Maximum Number of Movie Screens: 1,601Starring: Bryan Cranston, Diane Kruger, John LeguizamoDescription: In 1986, federal agent Robert Mazur (Bryan Cranston) poses as a money-laundering businessman to infiltrate the trafficking network of Colombian drug kingpin Pablo Escobar. PARIS (AP) — Christina Hendricks, Diane Kruger and singer Charli XCX led the front rows at the half-way point of Paris Fashion Week on Saturday. Here are the highlights of the spring-summer 2017 collections including reports from Nina Ricci, Elie Saab and Mugler. Guillaume Henry injected his signature sense of fun to the usual coquettishness of Nina Ricci — and this season saw the lauded designer further define the storied French house with his forward-looking approach.